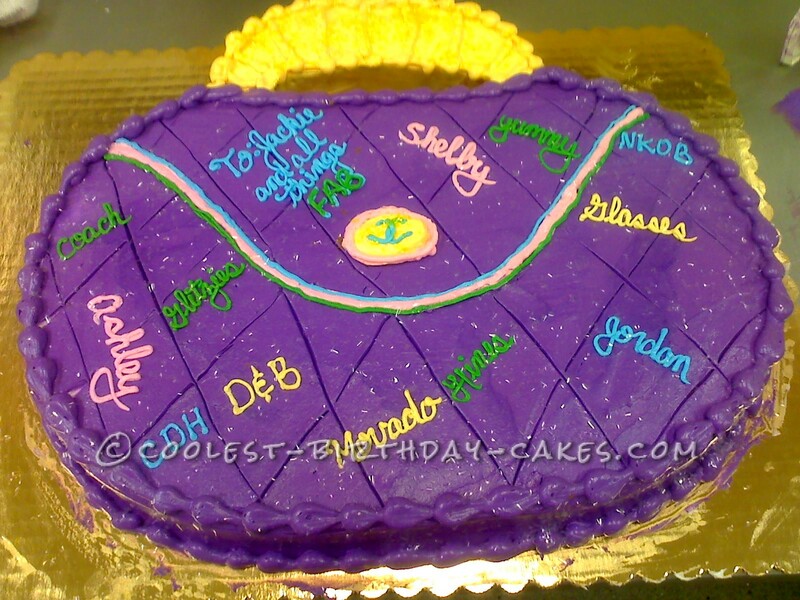 This purse birthday cake was also another first for me. I did this one for a regular customer of mine at a grocery store where I worked. It was for a girl she worked with who was a total purse fanatic. I started out with a full sheet an just started cutting, shaping, basically hacking away at it until it looked right. Then I added the detail. scoring for the quilting, beads around the edges, a gold clutch strap. All those things written on it are personal inside jokes that she has with all her female co-workers. if I did the cake again I would omit those obviously ! Difficulty level of this was hard to medium difficulty meaning you should probably have some cake decorating experience if you want to try this. Enjoy! !